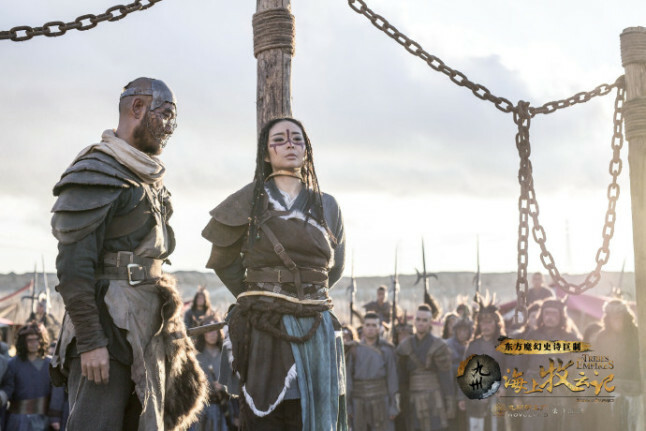 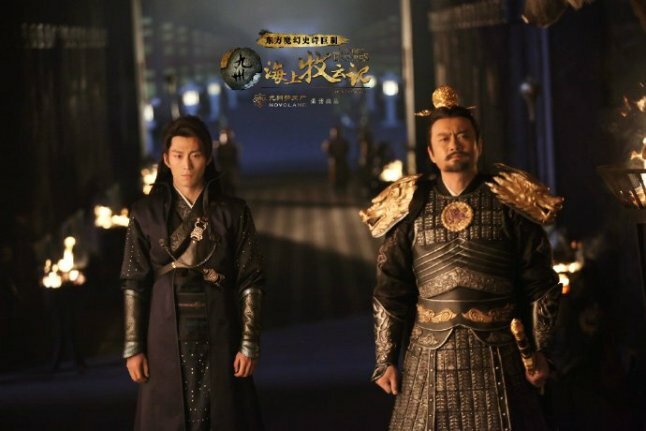 Tribes and Empires: Storm of Prophecy 九州·海上牧云记 wows with just a minute-long trailer that brings a mastery of cinematography and craftsmanship that can rival that of any big budget production, but wait for it... it's a drama, not a movie. 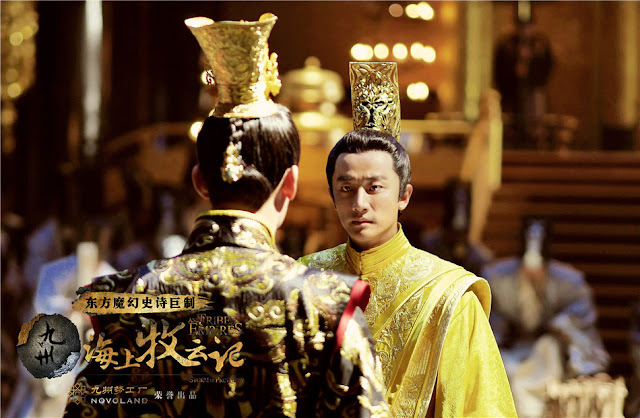 The 75-episode Chinese drama is adapted from a novel by the same name written by Jin He Zai 今何在 who was one of the seven authors that conceptualized Novoland, a fictional reality that has inspired works such as City of Devastating Love and Novoland: Castle in the Sky. 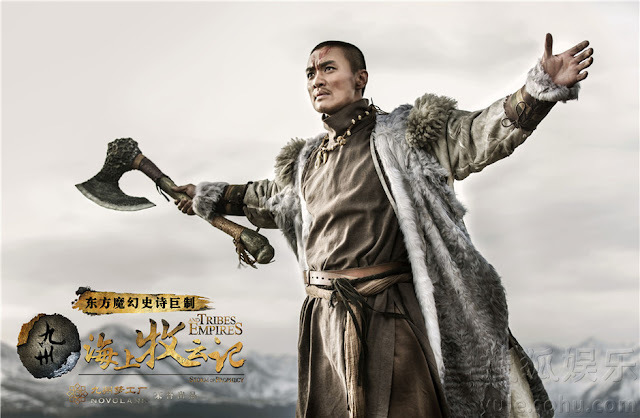 The cast is understandably huge, which is fitting for a story of this magnitude. 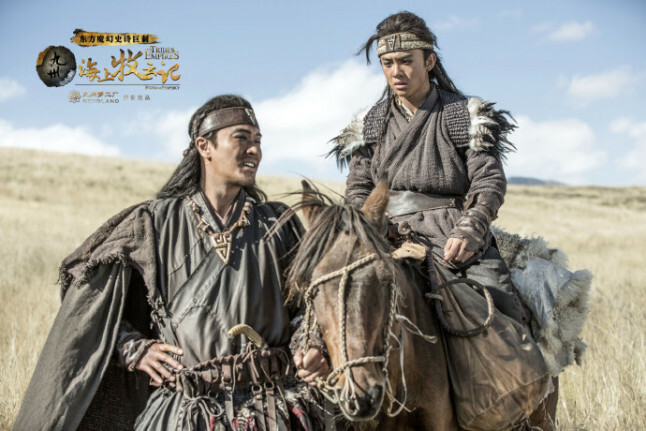 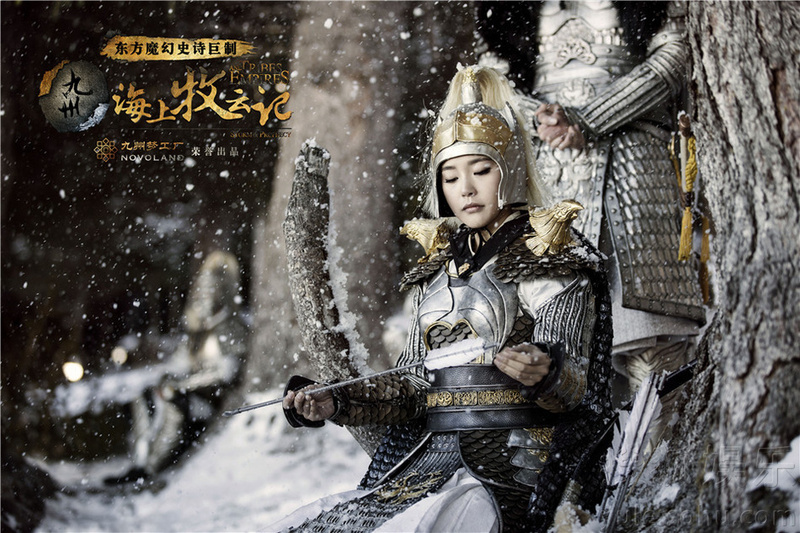 It stars Huang Xuan (Imperial Doctress), Shawn Dou (Princess Agents), Zhou Yiwei (Entrepreneurial Age), Xu Lu (Candle in the Tomb), Janice Man (The Message), Zhang Jia Ning (Xuan Yuan Sword), Jiang Qin Qin, Wang Qian Yuan (Battle of the Dawn), Wan Qian (Secret of the Three Kingdoms) and more. 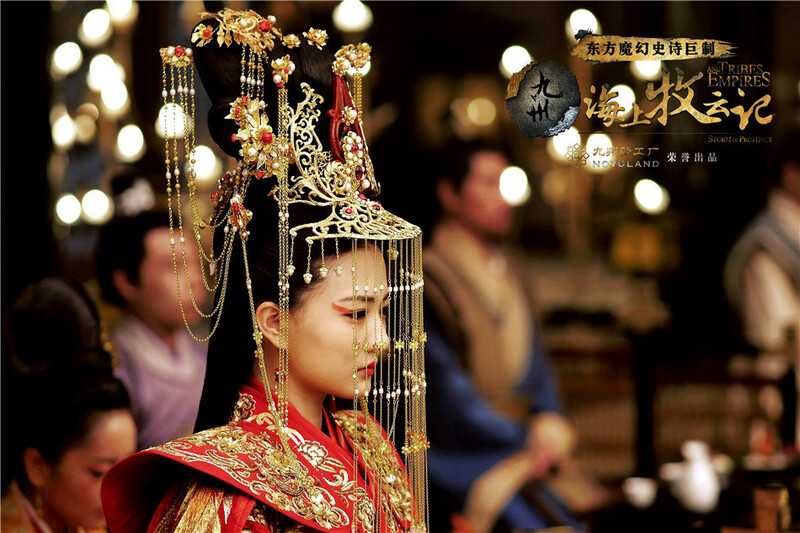 It revolves around three compelling stories in a complex world where there is more than meets the eye. 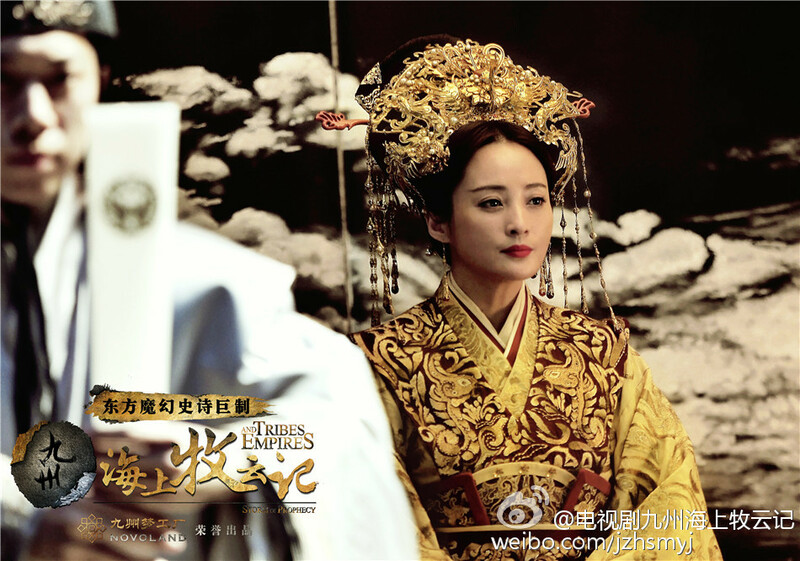 I'm not complaining about the overwhelming amount of stills but seriously show, please premiere already. 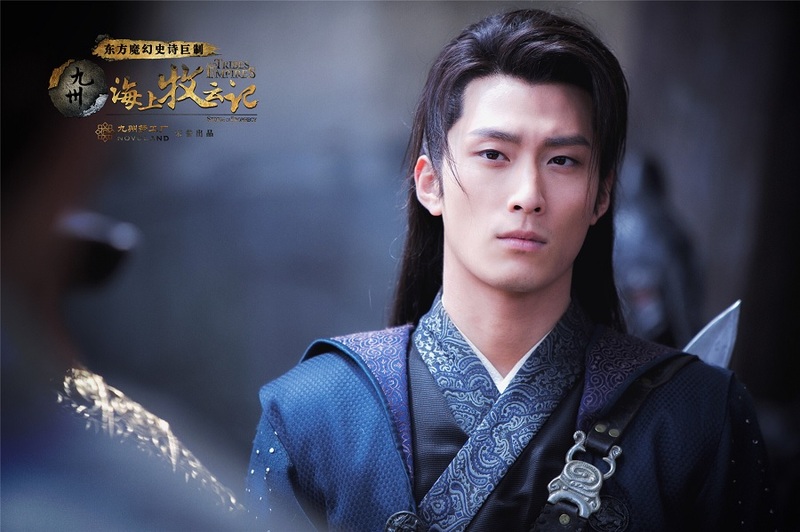 It has been foretold that 6th Prince Mu Yun Sheng (Huang Xuan) is a half human and half demon who will bring about chaos and destruction. 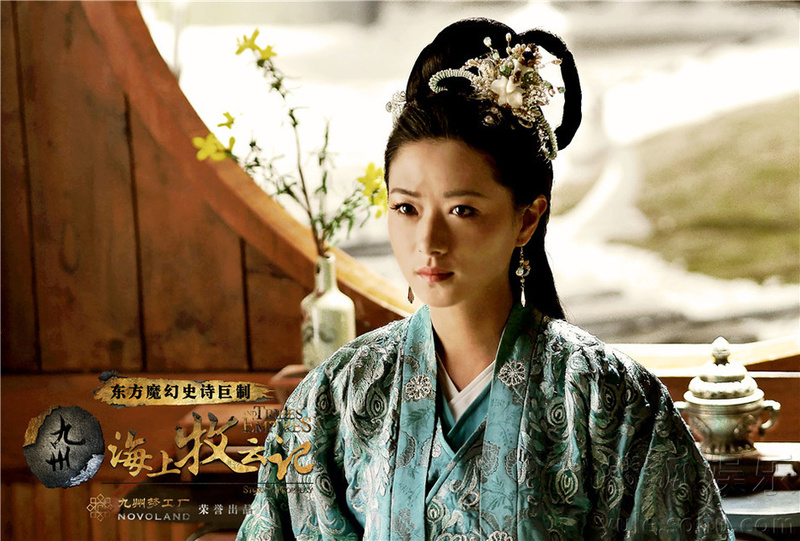 He is kept inside the palace where he meets a spirit (Janice Man) sealed within a painting. 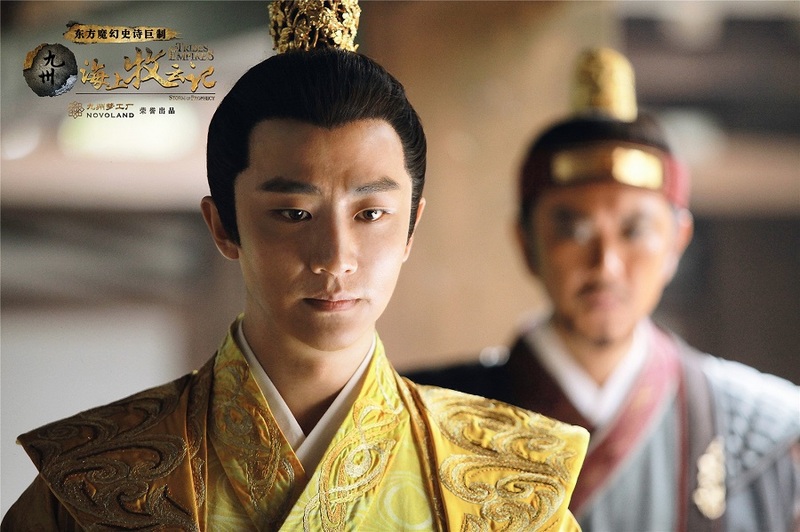 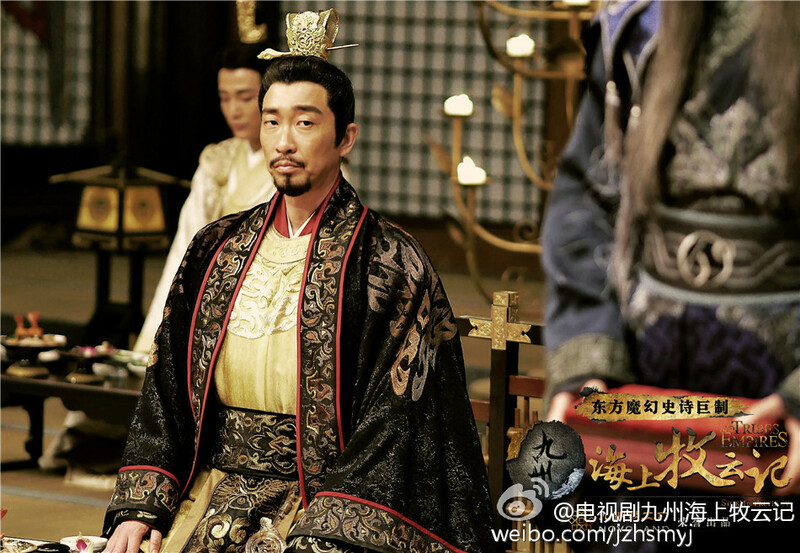 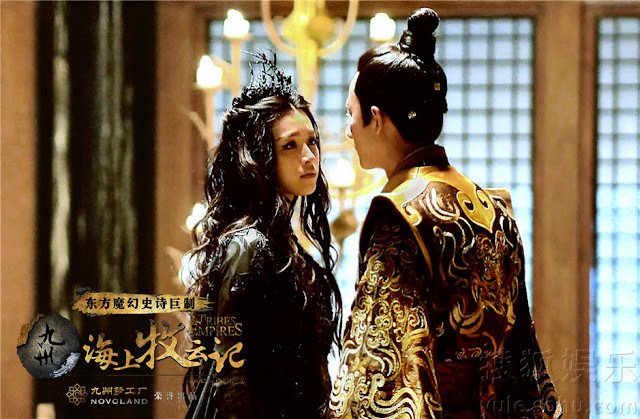 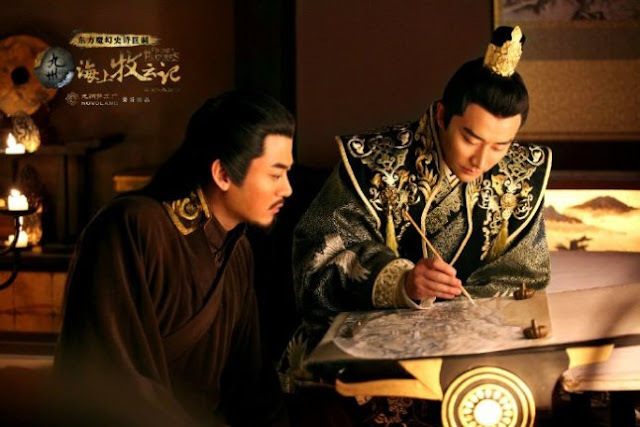 Mu Ru Han Jiang (Shawn Dou) is the abandoned son of a family of generals due to a prophecy that has sentenced him as a usurper, destined to take the throne. 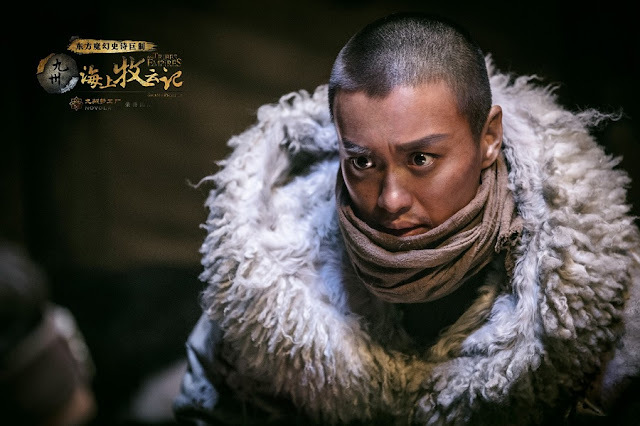 Shuo Feng He Ye (Zhou Yiwei) is the brave and capable successor of a tribe in the North who suffers terrible losses from battles with the Mu Ru clan. 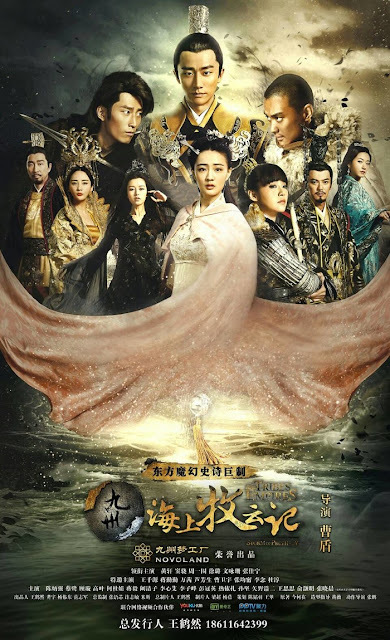 For synopsis, cast and ratings, see 2017 best c-dramas. I'm dying to see this. 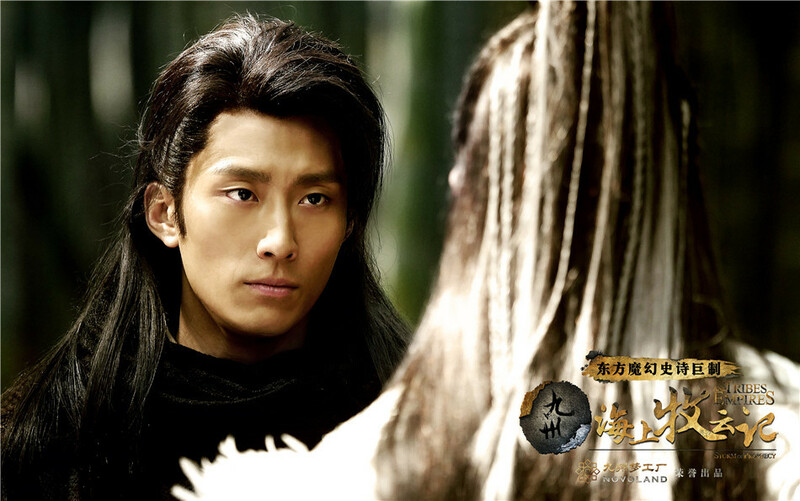 I became a huge fan of Shawn Dou during "Princess Agents."